Hi Everyone! 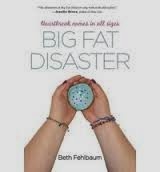 I'm Extremely pleased to have Beth Fehlbaum, author of the Patience Trilogy for an interview and Giveaway with her latest book, Big Fat Disaster! We're SO pleased to have you here, Beth! Blurb Description: Insecure, shy, and way overweight, Colby hates the limelight as much as her pageant-pretty mom and sisters love it. It's her life: Dad's a superstar, running for office on a family values platform. Then suddenly, he ditches his marriage for a younger woman and gets caught stealing money from the campaign. Everyone hates Colby for finding out and blowing the whistle on him. From a mansion, they end up in a poor relative's trailer, where her mom's contempt swells right along with Colby's supersized jeans. Then, a cruel video of Colby half-dressed, made by her cousin Ryan, finds its way onto the internet. Colby plans her own death. A tragic family accident intervenes, and Colby's role in it seems to paint her as a hero, but she's only a fraud. Finally, threatened with exposure, Colby must face facts about her selfish mother and her own shame. Harrowing and hopeful, proof that the truth that saves us can come with a fierce and terrible price, Big Fat Disaster is that rare thing, a story that is authentically new. 1. Let's start at the beginning. What inspired you to write Colby's story? Was there a particular point where you said 'I just have to write this!' ? I was sexually abused from the age of 8 to my late teens, and I used food to numb my feelings from the time I was a teen. I entered recovery when I was 38, and the first thing we worked on was me learning to manage my life without binge eating. After all, it’s about my feelings not the food. Over the course of a couple of years I began eating more healthily and running/walking. Several years later, I began having problems with my feet and discovered that I have a birth defect Eventually, I became crippled by it. My feet are now better and even walking very quickly can be painful at times. I was upset by what I saw as a failure when I looked in the mirror, and the hateful self-talk that I had worked so hard to overcome during my six years in therapy returned with a vengeance.I had to ask myself if I was less worthy as a person than I was before I lost the weight? The answer was, and is, of course, NO, but the fact that I so quickly began hating myself again was like a wake-up call to me. I decided to explore that through a teen girl who was not loved for who she is by the very person who should love her the most, unconditionally. Click to read: Chapter One of Big Fat Disaster. because she IS—but now she is literally fearful of not having basic needs such as food and clothing. Colby really needs someone to reach out to her with acceptance and love. 3. In your opinion, what would be the perfect song to showcase Colby's life, struggle and story? 4. Describe your journey as a writer! Your writing schedule, how you handle writers block, how you got here, and anything else you would like to add! I have always written, ever since I can remember. My grandmother taught me to read before I even started Kindergarten, and I was writing early, too. I teach language arts full-time from late August through the first week in June, and I write full-time during the summer and as much as possible on holidays and weekends. In addition to maintaining my website, I founded a group author website (UncommonYA), and I take time each day to upload blog posts and manage the site along with everything else I do. As far as story, I mostly plot in my mind and have the basic story arc—the beginning and the end for sure—before I start writing. Doesn’t mean that the plot does not change, but I know on a very basic level who my character is and what she wants, as well as what is getting in her way. 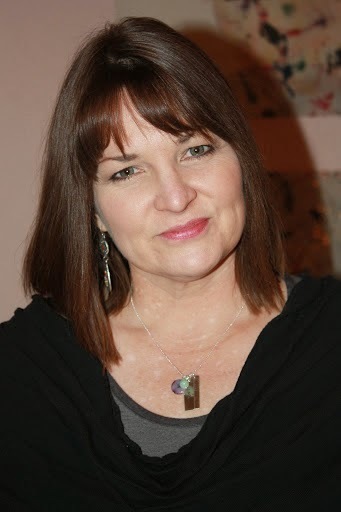 I began writing novels when I was in therapy for childhood sexual abuse. I had been writing short stories and poems, trying to process my anger, disbelief, and grief, and I was sharing them with my therapist. About a year or so into therapy, he suggested that I try writing a novel. I finally decided to step outside of myself and observe the recovery of someone else through her eyes. That person was Ashley Nicole Asher, age 15, who is removed from her abusive home with her mom & stepdad and placed in a tiny Texas town (“Patience”), where her life begins again. Courage in Patience and Hope in Patience are available on a limited basis through Amazon, Barnes & Noble, and private sellers. My first two publishers’ failure to thrive placed my books in No Man’s Land, and it breaks my heart; it really does, because The Patience Trilogy books are my “heart” books. Writing them was so intensely healing for me. 5. Any writing tips to all of us aspiring writers/ bloggers reading this? JUST. WRITE. Write without looking over your shoulder. Write fearlessly. 6. What can we look toward to next from you? Any plans for great new books? I have yet to decide if I will write a follow-up to Big Fat Disaster or if I will write a new stand-alone. My publisher, Merit Press, wants something “brave and actionful”. I will have time this summer to get a good start on the new book. Favorite Movie? “An Unfinished Life”; I also love the book trailer for Big Fat Disaster! Favorite Book? All of Chris Crutcher's books. The first I read was Staying Fat for Sarah Byrnes: reading that book is the reason that I became a YA novelist. Favorite TV Show? Dateline on ID shows, Snapped, 48 Hours. I have recently discovered Six Feet Under. I like Castle, and I never miss The Daily Show and The Colbert Report. I was a huge Breaking Bad fan! Favorite Author? Chris Crutcher & Jennifer Brown. It’s a tie. Favorite Character (from a book, of course!)? Sarah Byrnes. 9. If you could have written one book, for its literary excellence or amazing storyline, other than yours, which would it be? Hate List, by Jennifer Brown. A book about learning to love yourself, especially when no body around you seems to do the same! If you ever saw the picture of the man running for Senator, and his family who all support him on his 'go back to the basics- family values platform' you might think that they were perfect. The ideal picture of a family. Simply. Perfect. And yet, pictures can only capture a moment; one moment and sometimes not even that. People are forced to smile to convince others that everything is all right, and so is the case, especially in this family! With an ex-miss Texas for a mom and two equally pretty sisters, and a politician right that look like they have everything right, Colby is the one part of their family that doesn't fit in; the only one who isn't perfect. She is overweight and binge eats that leads her to keep growing out of her clothes and she simply can't seem to find the right thing to say at the right time. EVER! With a low self esteem that is only prodded further by her self obsessed mother and her two beauty queen sisters, Colby finds all she can do to blot out the pain, the only thing she can do that makes her feel seemingly okay, if only just for a little while, is food. Ding Dongs, Ice cream, Cookie Dough... Ah! The simple pleasures life brings us! After missing a pep rally one day, Colby discovers a secret. A secret so big, that is shatters the very ground she walks on. Her dad, Mr. Family Is Everything, is having an affair! And then, as if that wasn't enough, he has been embezzling money from campaign supporters and from his insurance company to finance his affair. With all their assets frozen by the Federal Government, and everybody they thought as friends and family they so loved turning their backs on them, the once perfect family falls lower than the low. From a palatial mansion in D.C to a trailer in Carolina, from having everything to nothing at all, Literally. From being looked up to as idolised as perfect to being picked on, Big Fat Disaster is one girls' story on how she and her family cope with the incident that changed their lives, and, more specifically, about a girl with a tendency to overeat in a family where everyone is a size Zero, and how she manages to find herself in the complicated mess she calls her life! my only drawback with the book, would be the ending.On one page, she is just going to kill herself, and quite literally on the next, she is feeling all better! Just one more thing, I have never met a mother more dispassionate, scheming and just plain mean that Colby's mom. God. #16 Things Things I thought Were True- INTERVIEW!